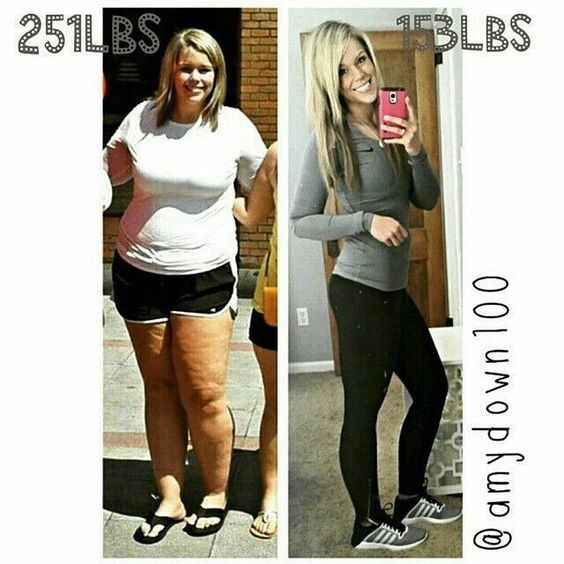 Many of us wanted to lose weight and not only losing it but also to lose weight fast. I for example wanted to lose weight in just a short amount of time by punishing myself with rigorous workout exercises or depriving myself to eat my favorite meal. Oftentimes these measures only lead for short term goals. I seldom see my friends that they lose weight in such a short time and maintain it for a longer time. If you are like me having an ordinary sedentary lifestyle chances of weight gain every year is larger than weight loss. In short long term weight loss and maintain it is not for impatient people, it will take time to see result and in the course of it, you will frustrate, regret or eventually give up with it. Good news is if you endure it for a longer time, with diligence and perseverance the goal for weight loss will be yours. But how long it is to see the results? Usually I’ve seen people lose weight with success is 1 year to maximum of 5 years. 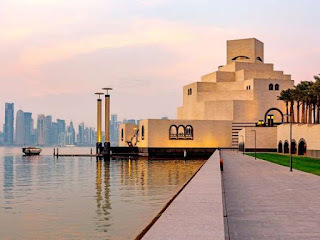 I have been losing weight fast with maximum of only 3 months but failed and gain it back again because of lack in discipline or not care at all, thinking I can lose it again with success but fail in second attempt. So be patient if you already hit your plateaus don’t discourage because it is part of losing weight once you give up on your plateaus you will never be successful. Here are some tips I find in Pinterest for a longer terms of weight loss. 1. Sleep early and get up early from bed. Resting can burn calories without taking in calories in our body and by getting up early we add some hours of movement to our bodies that can burn calories. 2. Drink more water and avoid sugary drinks, remember water has no calories, it has no taste at all but can fulfill our stomach. 3. Move more than your usual every day movement. Taking stairs, walk, throw some punches or jog in place. Every movement we make is a burning of calories that even when we sleep we burn off calories. Remember 3500 calories is equal to 1 pound of our weight, so keep moving whenever and whatever. 4. Add green tea to your diet which is easy to make and available already in our pantry. 5. Mind what you eat and do not take more than your calories burning expenditure. If your BMR allows you 1600 calories a day then just eat only within your limit. I know that you will always go extra of your limit, if it happens burn it by moving like exercise or chores. 6. Eat healthy, if you didn’t, eat healthy on the next day. Most people stop just because they pig out in an occasion, I’ll tell you it’s okay because you can eat healthy after the celebration. 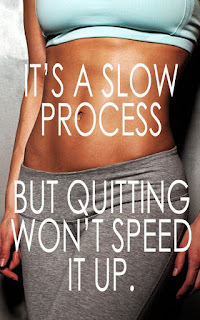 You can’t always perfect your diet but don’t quit just because of 1 day fail. 7. Dedicate some time for exercise, workout or resistance workout. You can never exercise everyday but twice or thrice is enough to be on track. Overall tasteless and bland food helps you lose weight and it is not fast because it will take you some time losing the weight off. Also exercise is a great factor if not doable a simple chores will help you on your goal but do not limit yourself because without discipline or simply giving up will take you in nowhere but eventually weight gain. 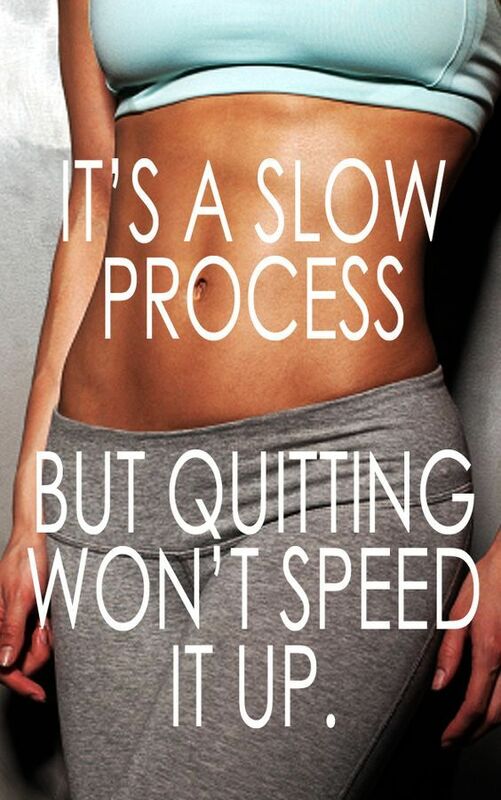 Remember it’s a slow process but quitting won’t speed it up. If you are like me who is looking for someone for motivation or inspiration to getting fit and healthy, well the story below is a good one. The story of @amydown100 which you can also follow on Instagram where she shares all her tips in the journey of her wellness is a worth following especially from someone who lose huge amount of weight and kept it off. In January 2012 (because is it even possible to commit in one of the other 11 months?! I decided I needed to be healthier, so I began counting my calories using the MyFitnessPal app. I ate low-calorie this and fat-free that and made sure I ate at or below the magical number I was given by the app, and I lost weight. As the weight came off, I began taking fitness classes at the gym and jogging outside. I quickly fell in love with the feeling of accomplishment that comes after a good run, and a year later I had lost 80lbs. Was I healthy? Not really, just smaller. I hadn't learned a thing about how to eat!!! I had learned how to restrict, but who wants to do that their entire life?! (Disclaimer! Definitely nothing wrong with counting calories! I still do so using MyFitnessPal, but during my first go 'round with weight loss I wasn't enjoying healthy calories. That was the mistake.) So you already know what's coming -- over the next year, I gained 55lbs. back! So a little over a year ago, I started again. This time around though, I'm creating a lifestyle. There isn't a finish line. I've fallen in love with healthy food. With nourishing my body. With macros. With minimally processed foods. With strengthening my body and also pushing it to its limits! And I'm now down 100 pounds from my highest weight, but so much more importantly, I'm HEALTHY! So, no, I certainly did not have a perfectly linear journey, but I've learned so much about myself and my body through the ups and the downs and the trial and error. Just start!!! And equally important, keep at it. You are capable and worthy of change. It's not going to be easy, or always go smoothly, but boy is it going to be worth it!! You got this!!" TAG someone that needs some motivation and share this post. With the holidays approaching, and people gathering with their friends and families to enjoy the season together, there's never been a better time for men to catch up on the latest fashion trends and ensure that they look good in front of the people they care about. To that end, here's a quick breakdown of some of the biggest men's fashion trends in 2016, so that you can look your best for the holidays. When it comes to male fashion accessories, the simplest way to explain 2016's trends is "go back to the past." Key chains are making a big push at the end of 2016, and while it may conjure up images of your punk days as a teenager, the truth is that they're now more popular and socially acceptable than ever before. If you want to recapture your youth, while also still managing to convey the appearance of an adult, then find a middle balance with a nice leather chain. These chains work best with a dark denim, but a part of their beauty is their simplicity and ability to mesh well with virtually any outfit. Although shoes don't typically shift with other fashion trends as aggressively, there are still a few notable shifts worth mentioning for the 2016 holiday season. Brogues, in particular, are coming back in a big way, thanks to their ability to effortlessly work with a wide variety of outfits. Regardless of whether you're looking for a companion to your suit, or you're simply going out with your extended family for an evening, brogues can elevate your style. If you're heading somewhere colder for the holidays, then you might be interested in picking up a pair of lace boots. For tops, there are many different options, but there's also plenty of opportunities to save money in the process. Mens tshirts wholesale can provide the same style as some of the more expensive options, without costing you a substantial amount of money. There are also quite a few sellers as well, such as Uni Hosiery. Regardless of what route you decide to take for your own personal fashion, what's most important is that you're happy and confident in how you look for the holidays. After all, the entire point of the holiday season is to celebrate the good times you've had in this year, and prepare for the many good times you'll have in the future. As young teenagers going through the changes of puberty, it's not uncommon to experience a face full of pimples. However, many parents assured woeful teenagers that acne would be a thing of the past once adulthood came along. Well into adulthood, many people are still experiencing the embarrassing stigma attached to acne. From cystic pimples, blackheads, whiteheads, clogged pores and scars, so many adults are walking around willing to pay top dollar to the first person with a cure. There are few ways to tackle the issue as it comes and there are a few preventative measures to take when dealing with acne. Topical treatments are really good for treating the skin and its ailments. If you're dealing with a pimple on your nose and you'd like to eliminate the pus and swelling, there are a few steps to take. Even though many people discourage popping pimples, there is an effective way to do it and decrease its unsightly appearance. Steam the skin with a steamer or a hot washcloth for a few minutes to open the pores. Cover two fingers with a cloth and gently stretch the skin over the pimple. As the skin breaks, the pimple will pop and lots of pus and fluid will emerge. Once the pimple gets drained, use a benzoyl peroxide 10 gel and apply it over the pimple. The gel acts like a salve to soothe and heal the area. It will also help to prevent scarring from occurring. After a few days of applying a benzoyl peroxide gel, use fresh lemon juice as an astringent and toner over the skin. If there is any potential for discoloration, the lemon juice is an excellent solution for it. 2. Eat healthy foods and drink lots of water. Nowadays, many people are unsure of what's considered healthy because of the way foods are marketed. However, food in its most natural state is the healthiest. Foods like fruits, vegetables, nuts and grains are the best to consume. 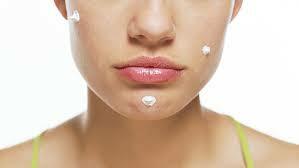 For many people, dairy only exacerbates an issue with acne. Try to eliminate as much dairy as possible. Additionally, drink lots of water because water purifies and cleanses the internal system. The hair, skin and nails are the last places to receive the nutritional value of water so drink lots of it to cleanse the skin. Sugary substances are very dangerous for the skin as well. Something about sugar and dairy triggers the skin in a negative way. For a sweet taste, try using natural sweeteners like honey and agave nectar. Your skin will thank you.